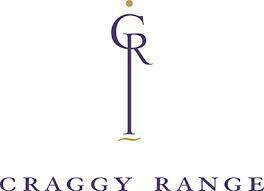 Craggy Range is a family owned winery established in 1997 named by U.S publication Wine Enthusiast magazine as New World Winery of the Year for 2014. It is situated in the shadow of the spectacular Te Mata Peak in the premium wine growing area of Hawke's Bay, New Zealand. Based on the single vineyard philosophy of winemaking, Craggy Range was the first in the Southern Hemisphere to make single vineyard wines from multiple New Zealand regions with grape varieties matched to place. The winery produces a portfolio of quality wines including the iconic Prestige and Family collections, as well as Limited Editions all reflecting the place and the people. The grapes, grown in exceptional winery-owned New Zealand estate vineyards in Hawke's Bay, Martinborough and Marlborough, are selected for their special soils and unique climates producing wines of character, quality and authority. The architecturally inspired Giants winery complex and vineyard is also home to the Craggy Range Cellar Door and the award winning restaurant Terroir at Craggy Range. Nestled amongst the vines, the four Craggy Range Vineyard Cottages offer self-contained boutique accommodation. Wine Spectator 92 "This detailed white shows fresh fennel and celery leaf accents to the core of mandarin orange, papaya and lime flavors. Silky and very juicy, with plenty of elegance on the finish." Robert Parker 89The Te Muna Road Vineyard Sauvignon Blanc shows rich ripe flavors of limes, peaches and apples alongside the characteristic herbaceous components and unique dry grainy texture on the palate. Wine Spectator 89 " This smooth, silky white delivers pretty Key lime, Meyer lemon, passion fruit and melon notes that are elegant, balanced and delightfully tangy. all leading to the juicy finish. Drink now. 13,000 cases imported. " ~ MS " Pale straw colour streaked with vibrant green hues. Wine & Spirits 91 "Merlot grows well in the reflected warmth of this vineyards stony soils. It accounts for 58% of this blend with cabernet sauvignon, franc and Malbec, lending the wine its plump texture and black raspberry aroma. Cabernet gives it a little structure and currant-scented length.